Please pray for the 7 people injured in today’s terror attack, including this newly married couple who were seriously injured: 21-year-old Shira Yael bat Liora Sara and Amichai Yishai ben Galila. Following the attack, Shira underwent an emergency c-section in her 7th month of pregnancy, the baby’s life is in immediate danger, please pray for רך הנולד בן שירה יעל (Rach HaNolad ben Shira Yael). 22 years ago, right after I got married, I spent a year learning Torah at a Jerusalem seminary called Shearim. My favorite teacher was a woman named Liora Silberstein. I loved Liora. She had such amazing positive energy, was passionate about teaching Torah, and had such a beautiful smile. Liora was also VERY pregnant. In her first pregnancy after several years of marriage. After a few months I was happy to hear that she had given birth to twins, a boy and a girl, B”H. I finished that year at Shearim. And I lived in Jerusalem. And Liora lived in Beit El, about an hour from Jerusalem. Liora was busy with her twins, and by the next year I was busy with my oldest daughter, Hadas. 15 years later, I was attending an event for mothers at Hadas’ high school, when I ran into my old teacher! One of her twins, named Shira, was in tenth grade at the same high school where my Hadas was in 9th grade. I squealed with joy to see my beloved long-lost teacher, who was an English teacher there. And I squealed again to realize that Shira, her lovely daughter, was the baby that had been at least half the cause of her mother’s huge belly so many years before. “I remember you when your mother was pregnant with you!” I told her. Shira smiled, what a sweet girl. Tonight, like many of us, I heard that a pregnant woman was critically injured in a terror attack by Ofra. Her husband was also moderately injured. B”H, their baby, in its 7th month, was safely delivered and is doing well. 5 other people were injured in the attack. May we see great miracles on this final day of Chanukah, and may all of them experience an immediate and complete recovery. Please keep them in your prayers! thank you for sharing!! very precious indeed!! Shira is a dear friend and my former chevruta from the RRG Beit Midrash program in Jerusalem in 2016. Her family hosted me several times for Shabbat and Purim. During that semester she was completing her national service as a guide at Givat Hatahmoshet. Shira shares her mother’s gift for teaching. Her faith and love for her family and country are an inspiration. 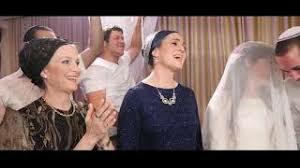 Shira and Mr. and Mrs. Silberstein, we are davening with such kavanah for all of you: here in Israel and in the US. All of Am Yisrael shares in your pain this week. You are constantly in my thoughts and prayers. May you be blessed with more children who will shine their light in this world and bring us all closer. With great tears of joy in the future. May you have a huge Refuah Shleima. Iyh this should be part of history. In 10 years time iyh you should be with many more children and making a World Seadus Hodah. Mazel tov for this new baby.